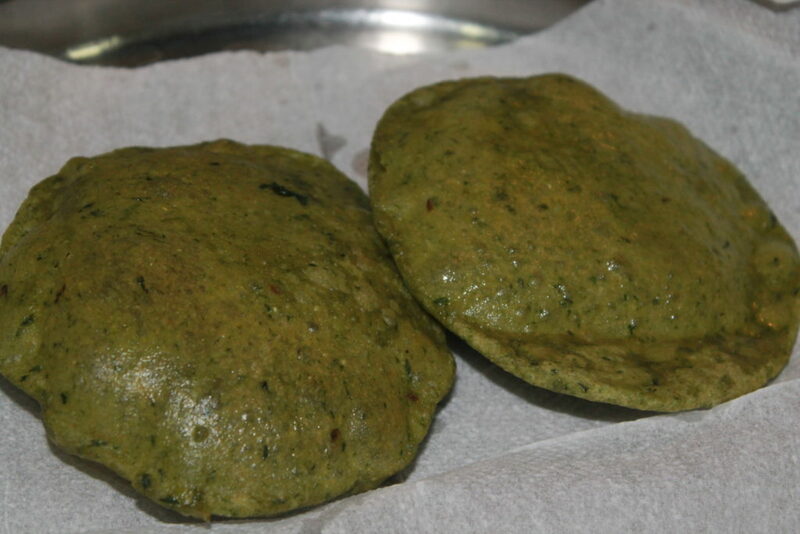 Today’s recipe is ‘Palak Puri’. 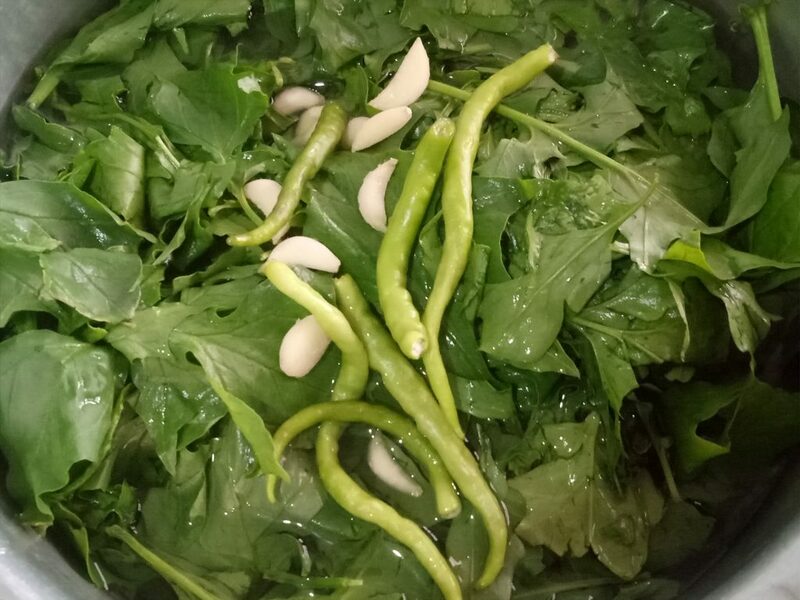 Spinach is healthy but not everyone is fond of it 😀 .The market is loaded with green veggies these days, palak puri is one dish with which you can add healthy green veggies to your diet. 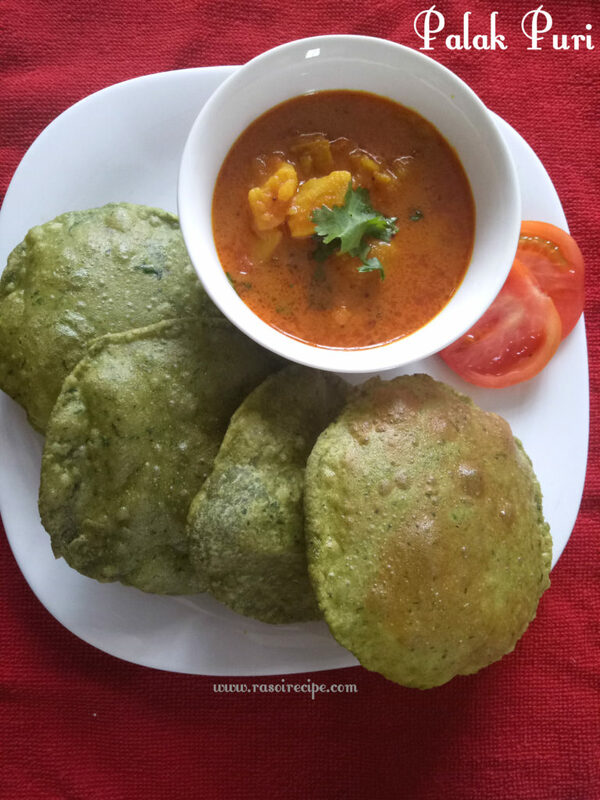 These puris go really well with aloo ki sabzi, I have shared many aloo recipes on the blogs, you can prepare any as a side dish. 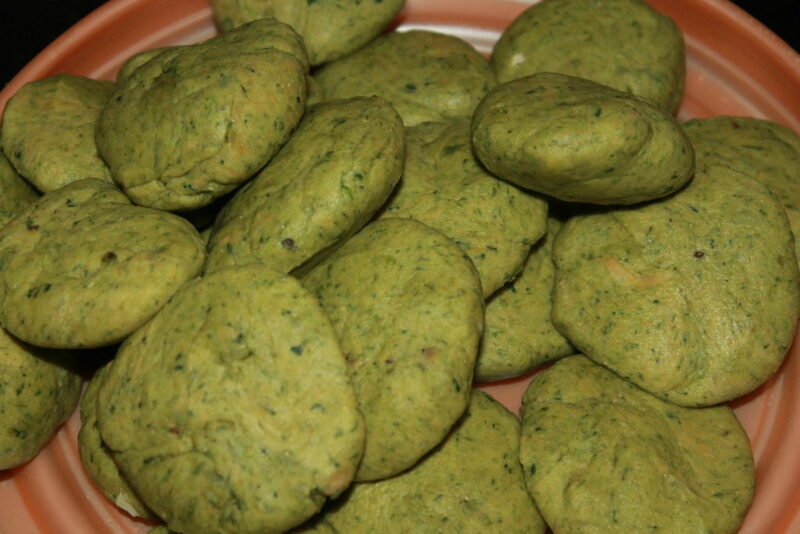 You can prepare these for a festive occasion and also for lunch box. 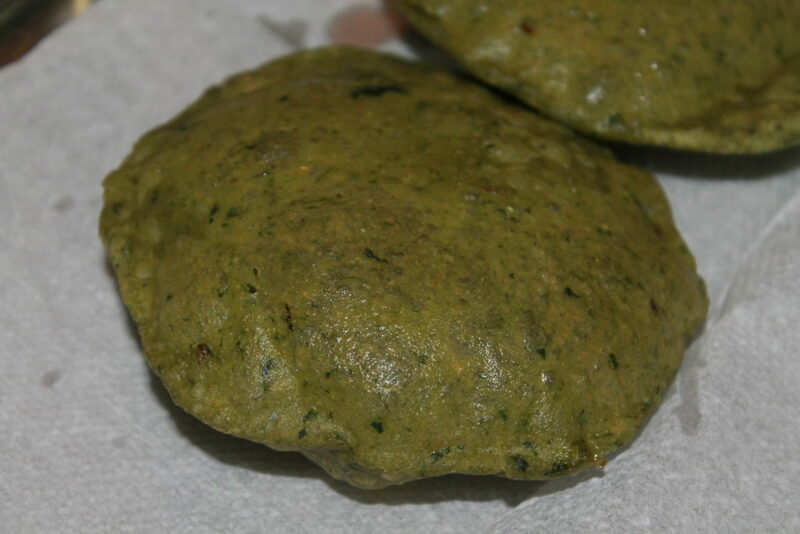 Palak puri requires mainly – spinach puree, wheat flour, garlic, oil, and few spices. 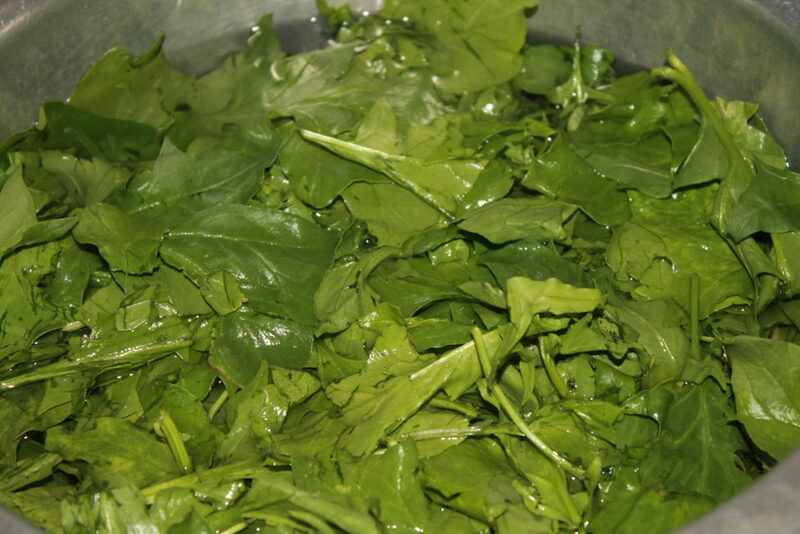 For this recipe, you need to first boil spinach, and make a puree. 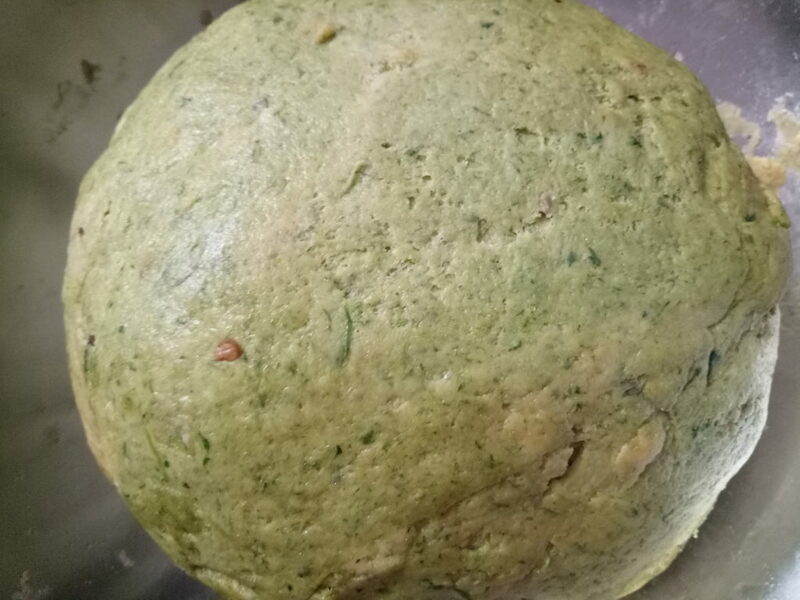 You need to knead a tight dough just like you regular puri dough. 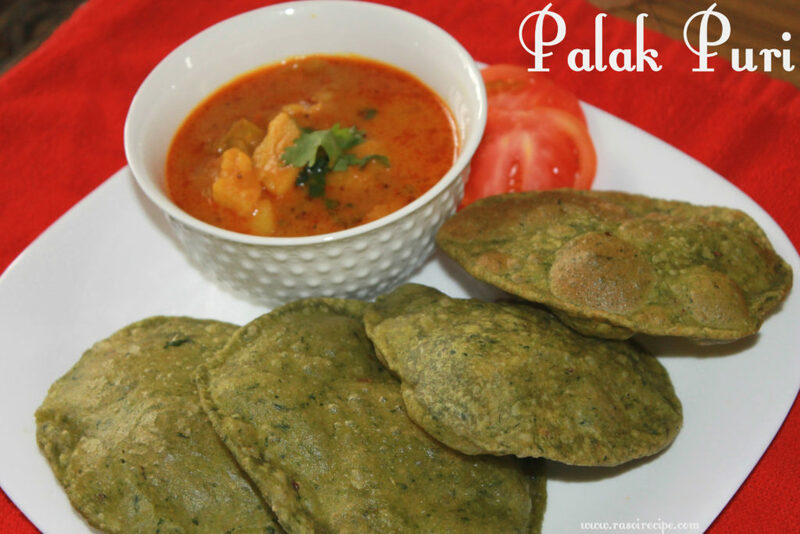 Aloo recipes that you can prepare with palak puri – Aloo Ka Bharta | Spicy Mashed Potatoes Recipe, Aloo ke Gutke / Pahari Aloo (Uttrakhand Cuisine), Dahi Wale Aloo (Potatoes cooked in curd gravy), Aloo Kasoori Methi Sabzi (Potato n Dried Fenugreek), Aloo Shimla Mirch Do Pyaza, Aloo Tamatar Ki Sabzi (Potatao and tomato gravy). 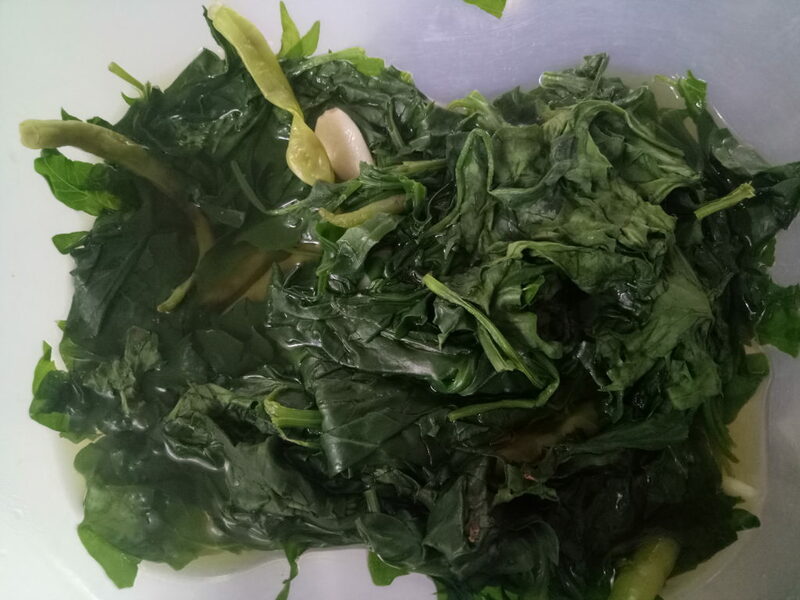 Wash spinach leaves,green chillies and garlic cloves properly. Steam or boil all the above veggies. 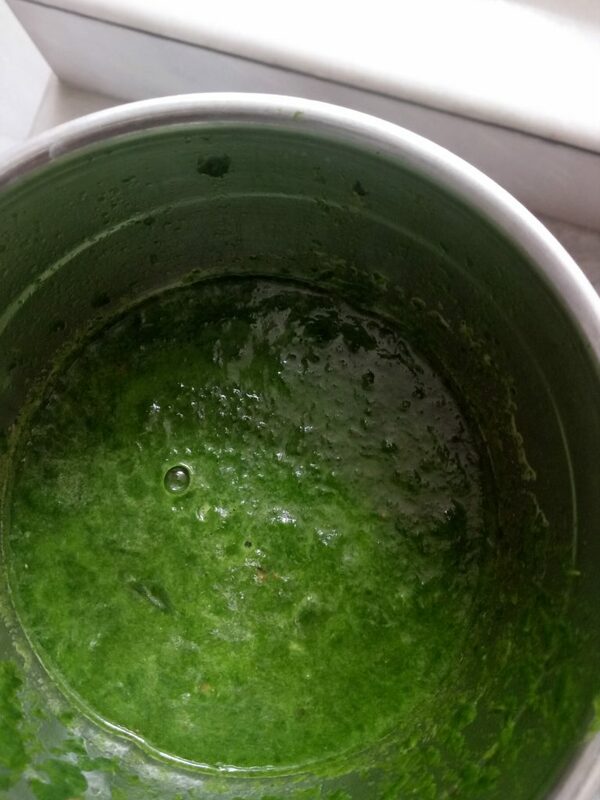 Prepare a puree of spinach, green chillies and garlic cloves. 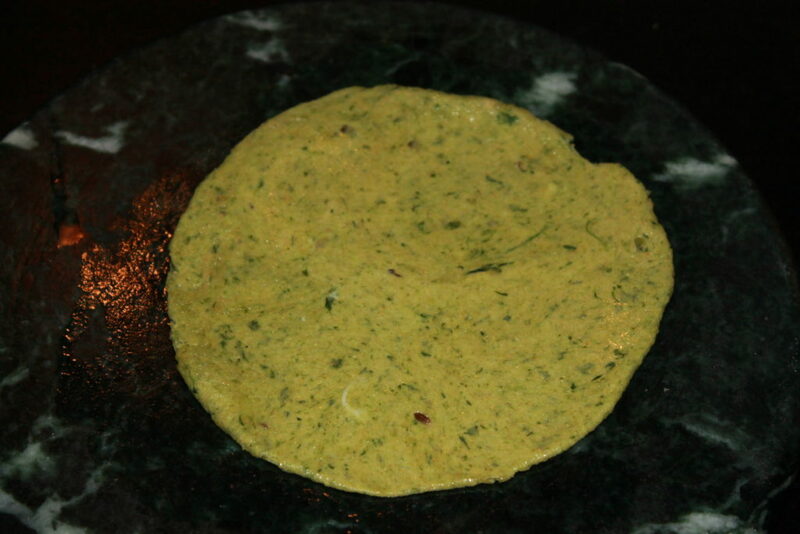 In a deep pan, take wheat flour, turmeric powder, salt, coriander powder, cumin seeds, oil and red chillies powder. 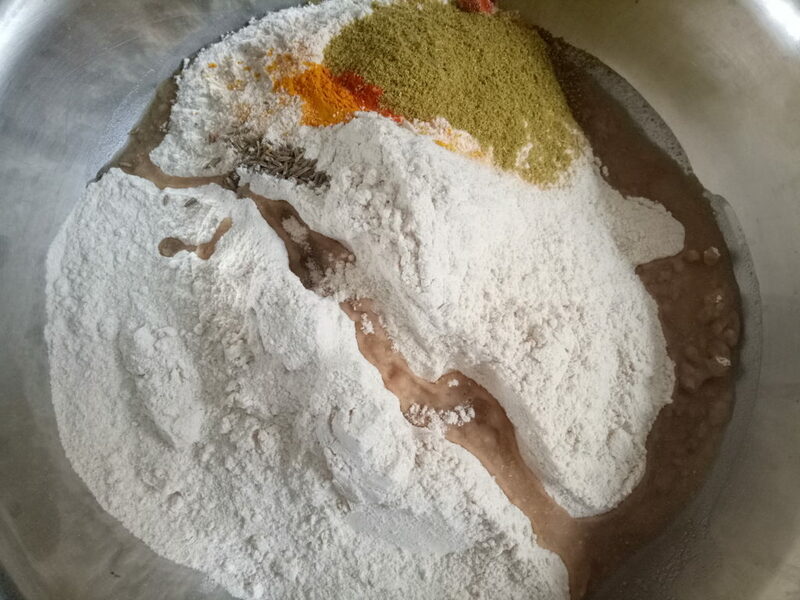 Add puree in the flour. 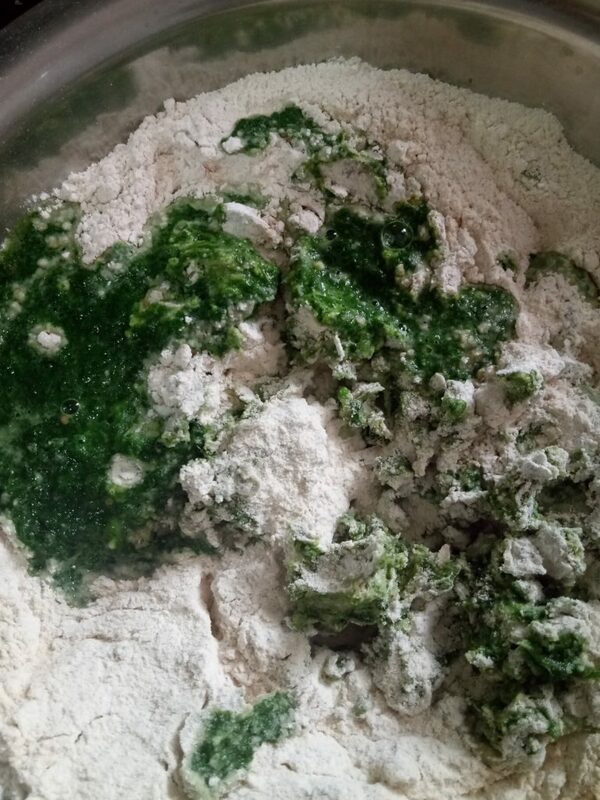 Knead a tight dough for puri. Start preparing puri one by one. Heat oil in a deep pan. 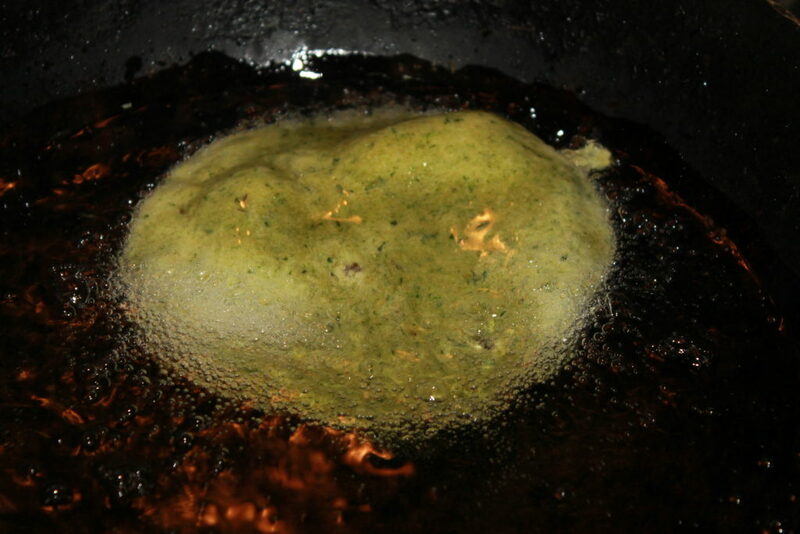 Start deep-frying puris. Serve hot with aloo sabzi or any vegetable dish of your choice. They sort of remind me of a spinach tortilla. Only fried. Very interesting.